Not there to check out the beaches or fantasy amusement parks, Sara Busatto has a different reason from many to be in Florida. She is a visiting student at the Mayo Clinic Graduate School of Biomedical Sciences, in Jacksonville, Florida. 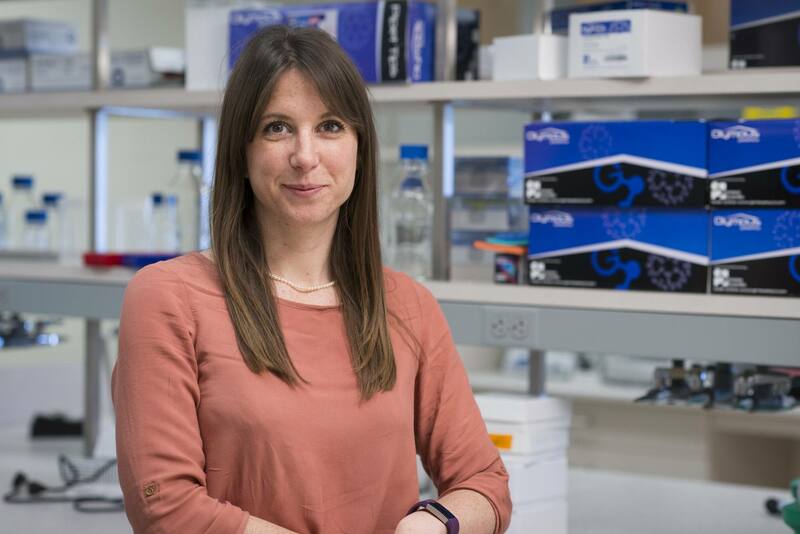 Currently in the final year of her Ph.D. in health care technology at the University of Brescia, Italy, she came to Mayo Clinic to pursue applicable research and mentorship. 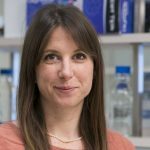 I caught up with her during a slow moment – if such a thing exists in the life of a medical researcher – and she shared some of her story. What moment or experience in your life led you to pursue a medical research career? Since my childhood, I was always exposed to medicine, as my mom was a nurse. As a child I was sick a lot and I felt like the hospital was a friendly place. Through these experiences I developed a strong interest for medicine. For example, when I was seven years old I asked my parents for an encyclopedia about the human body. With time, my fascination grew and as an adult I think that science and biomedical research are part of who I am. An experience that still stays with me to this day is a first aid summer camp that I attended as a child. They had an ambulance with a human manikin to teach us how to act during a medical emergency. When the demonstration was over, everyone waved goodbye except for me who ran over to give a hug to the manikin. Since then, I have felt a deep connection to the needs of patients and I have made it my life goal to make a difference in medicine. What is your research interest, and why did you decide to research that topic? My research interest is the use of nanoparticles in medicine. Nanoparticles are like mail carriers that travel around the body to bring medications to specific places like tumors. Specifically, I am focusing on nanoparticles that are made by the body itself, which makes them safe than manmade nanoparticles. These so-called extracellular vesicles are promising for treatment of life-threatening diseases and are likely to have fewer side effects for patients. I hope that my research will help to get medications to specific areas in the body to improve patient outcomes and quality of life. What attracted you to Mayo Clinic for your research? Sara sharing a learning moment with Dr. Wolfram. I have always wanted to do research in a world-class medical institution, especially in a patient-oriented, multidisciplinary research environment, such as Mayo Clinic. In 2017, I heard Dr. Joy Wolfram’s talk at an international conference and I was really excited about the research in her group, especially as I had expertise in this area. I immediately expressed my interest in working with her and told her that I was willing to move to the United States for the final year of my Ph.D.
Have you found anything unique or unexpected about Mayo Clinic, especially as it relates to your ability to learn and conduct research? I have been extremely impressed by the translational research and patient-oriented focus at Mayo Clinic. Every day, I feel that my ideas, time, and research efforts are very important because we are potentially improving the future lives of patients. I am also pleased and motivated to be a member of a group that is led by a young woman, as this gives me hope that even though I am part of a gender minority in science I can still be a future leader in medical research.